Historical Note: Earliest tombstone is for the wife of William B. Marshall, Annie J. 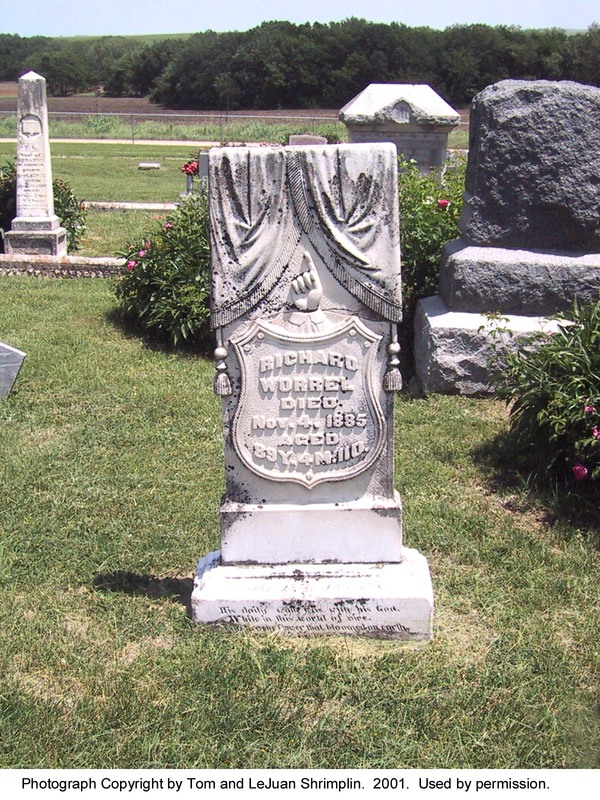 (Pillsbury), who died 27 February 1857. Directions: From Manhattan take 177 South, crossing the Kansas River Bridge, turn left (east) onto Zeandale Road, Highway 18. In about 4.5 miles turn right (south) onto Pleasant Valley Road . Follow this road as it makes several turns, about 2.3 miles. The cemetery is on the right (west). 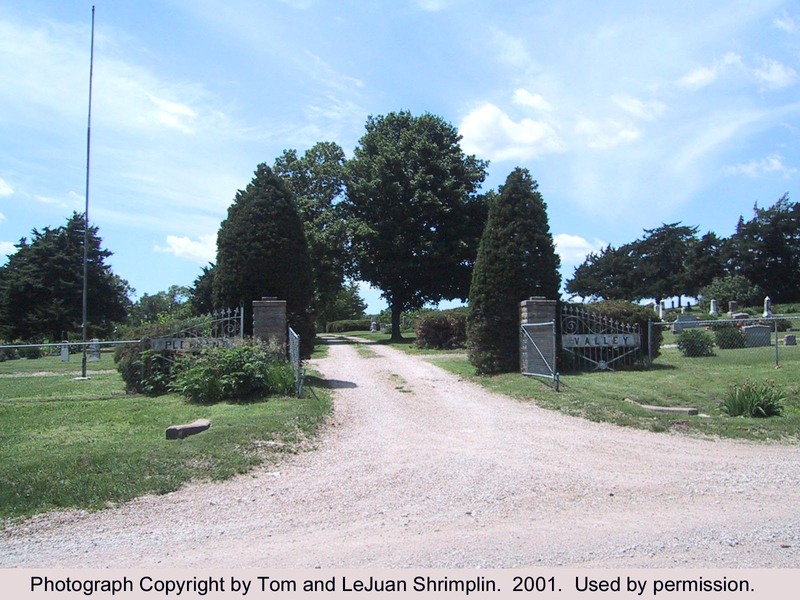 Because of county boundary changes, this cemetery has been located in Geary, Wabaunsee and finally Riley County.